STELA is the specialist exactly when it comes to utilization of low-temperature heat. The STELA belt dryers and feed-and-turn dryers are modular drying systems, which achieve a cost-effective and sophisticated drying of the most various products from a capacity of approx. 300 kW thermally. STELA Laxhuber with their broad know-how in the field of drying technology can offer a great number of individual solutions for the development of concepts for waste heat recovery, not only for biogas block heat and power plants. 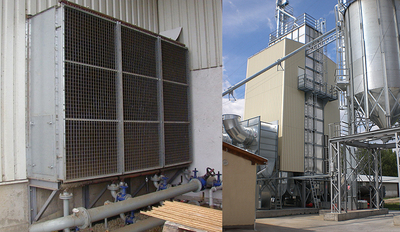 Already 500.000 kW of low-temperature waste heat are used per hour by STELA drying plants. A STELA belt dryer is designed indivually for the customer. The most different categories of performance are covered through the modular design. 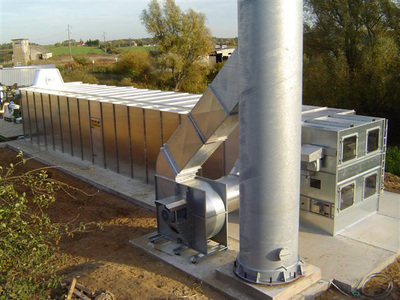 There are suitable STELA belt dryer systems already for smaller thermal capacities, especially for the waste heat recovery of a biogas plant e.g. for drying digestates. Especially for smaller and medium thermal capacities up to 1000 kW, the STELA feed-and-turn dryer is more up-to-date than ever. 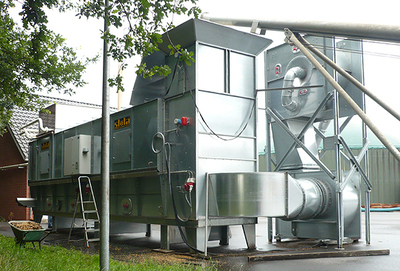 Through its robust design and its technology proven in practice for decades, this drying system can dry numerous most different products, from agricultural products (like e.g. pumpkin seed, bio products etc.) up to wood chips for thermal utilization or for wood gasification. The great number of projects and satisfied customers argues for the quality of STELA drying technology and the professional competence of the STELA team. Depending on the place of location, the preheating of the drying air of conventional agricultural STELA dryers also provides a seasonal possibility to use waste heat reasonably. Depending on the heat available, gas or fuel oil can be replaced partially or totally by the waste heat. This is, besides the considerable savings of operating costs, also a meaningful contribution to climate protection and the substitution of fossil energy sources.